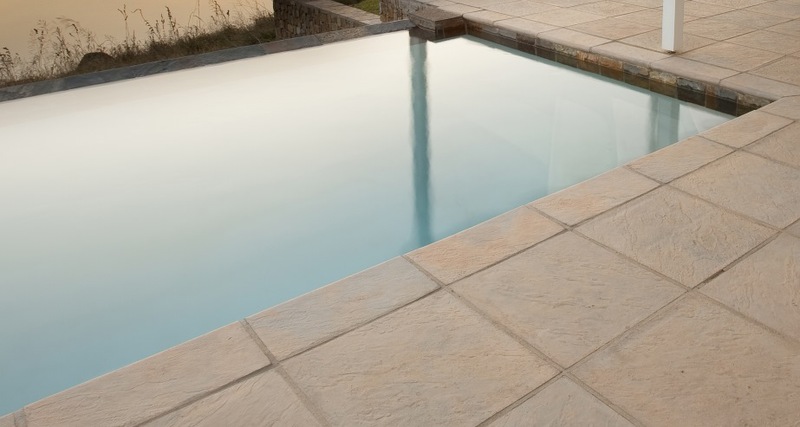 Estcourt Coping serves as an edge to the Estcourt Paver and can be used to edge off any areas where Escourt Pavers were used, such as around a swimming pool, on the edge of patios and on stairs. Please note, sizing may vary across SmartStone branches. Please consult your nearest SmartStone branch. Midrand, Pretoria, Nelspruit, Port Elizabeth, Durban, Bloemfontein, Cape Town, Potchefstroom, Mozambique and Zambia.